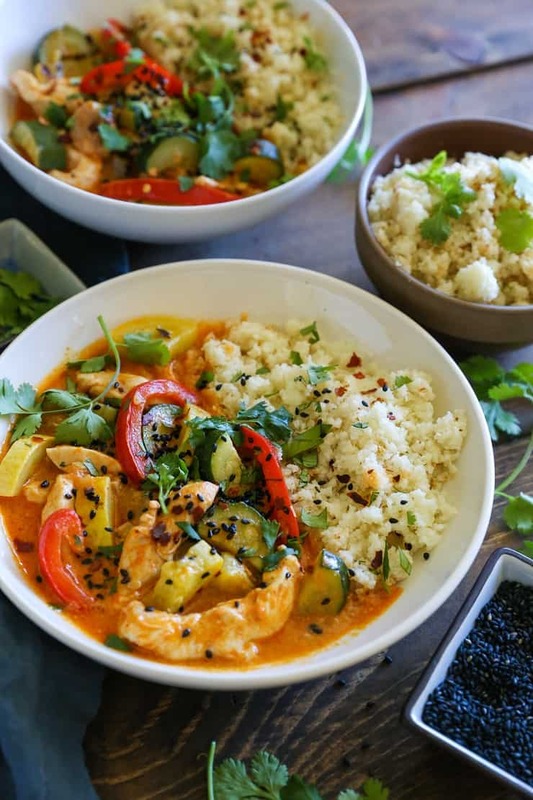 Quick and easy red curry with chicken and vegetables – this simple approach to Thai red curry (which happens to be Whole30-approved and Paleo) is a winning meal for any night of the week. While I was doing a Whole30 during January, I missed rice with a vengeance (which I already confessed it in this post). You could wave a fair trade organic dark chocolate bar (my all-time favorite treat) in front of my face and I wouldn’t give it the time of day, but rice? Forgetaboutit. I was liable to shed tears or throw elbows just to lay claim to it. About three weeks in, I went out for Thai food with a friend and ate my chicken red curry riceless like soup and I basically had a meltdown right in front of her. It’s just not the same without that squishy al dente grain soaking up all the glorious flavor of the aromatic sauce. The comical part about it, is I’ve only eaten rice once in the two weeks I’ve been off Whole30. 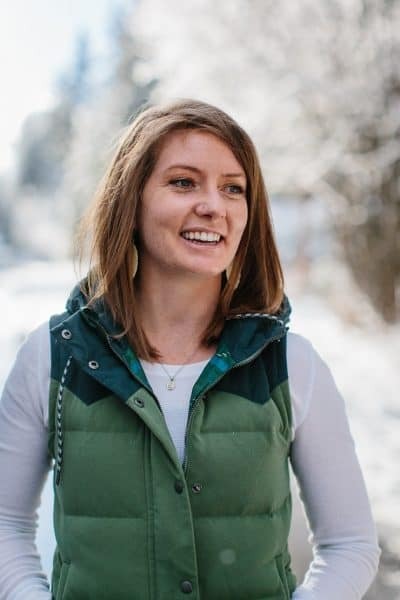 I felt pretty amazing during the Whole30 to the extent that I’ve been cautious in adding back foods (well… I did eat a pint of ice cream the first day off and ended up regretting it with a fiery passion, so I’ve been more careful since). When you get that energy boost, fabulous digestion, and can literally feel your body cleaning itself, it makes the whole process worth it. Most people (myself included) will report their relationship with food shifts to where they aren’t seeking comfort at every meal, but are more willing to continue giving their body what makes it feel good. All of that said, the discussion at hand here is the red curry chicken. This recipe comes together in a FLASH and contains all the comforts of an authentic Thai meal. Even if you’ve never made curry (perhaps especially if you’ve never made curry), this is such a silly-easy approach that it’s nearly impossible to mess up. From start-to-finish, this is a 45 minute max meal, but will take even less time to prepare if you’re savvy at chopping vegetables. I WILLSAY curry always tastes better the next day (or next two or three days), so if you have the patience, you can make this whole meal a day or two in advance and refrigerate it to allow it to soak up more flavor. 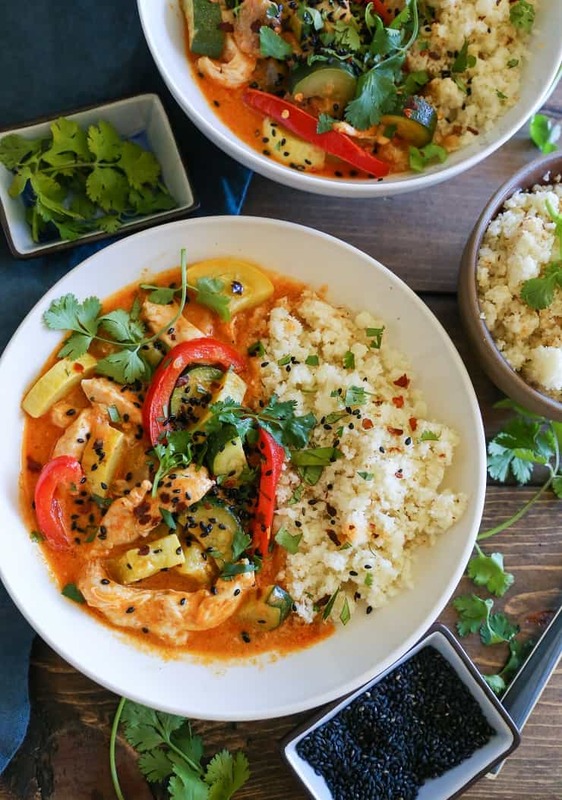 As the photos in this post suggest, you can keep it grain-free by enjoying the curry with cauliflower rice, or you can rice it up (you’re free to do you, m’dear). Incorporate your favorite seasonal vegetables into the meal (try broccoli, cauliflower, bok choy, cherry tomatoes, butternut squash or sweet potato). Add 1/2 medium onion (finely chopped) and/or 3 cloves garlic, minced for some added flavor. Serve with choice of rice, broccoli rice, or sweet potato rice. Turn this into green curry or yellow curry by replacing the red curry paste accordingly. Substitute beef, pork, or shrimp for the chicken. This recipe comes together very quickly, so no prep ahead work is needed. If you’d like, you can chop the vegetables (all except the eggplant) ahead of time and store them in sealed containers in the refrigerator up to 2 days in advance. The meal saves well, so it can be prepared up to 4 days ahead of time and stored in the refrigerator inside of a sealed container. And on Wednesday, we curry. Heat ¼ cup of the canned coconut milk over medium-high heat in a large skillet or wok. Add the bell pepper and eggplant. Cover and cook for 3 minutes, stirring occasionally. Add the remaining coconut milk and red curry paste and bring to a full boil. Reduce the heat to medium, and add the yellow squash, zucchini, sliced chicken, red pepper flakes, and sea salt. Cover and cook 10 to 15 minutes, stirring occasionally, until chicken is cooked through and vegetables have reached desired doneness. 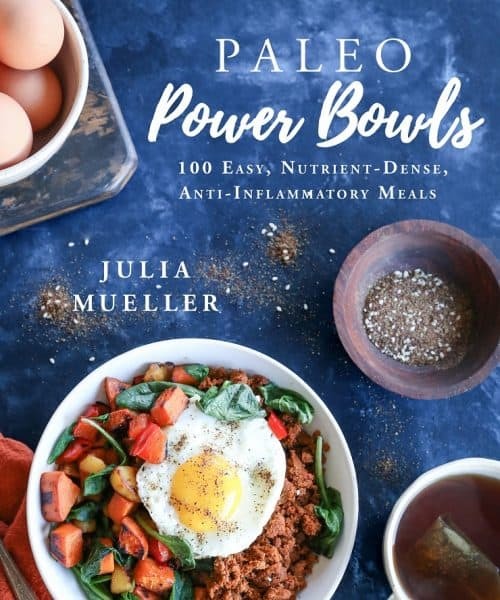 Serve with cauliflower rice, sesame seeds, and fresh chopped cilantro. fluffy white rice is life!!! I’ve never done Whole30 and don’t know if I could hack it. I love rice too but I’m not sure I could live without red wine and chocolate for 30 days! Curry IS pretty hard to eat without rice so a melt down was warranted I think! 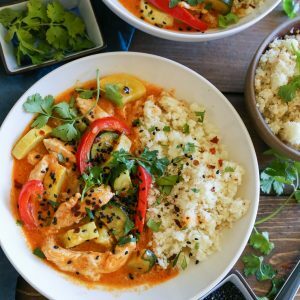 This red curry looks amazing Julia and I love all the veggies you packed in here! Heard that! It was super tough to go without my much-beloved chocolate and rice. 😀 And thanks, lady! This really is one of my favorite meals I make time and again. Omg white rice is my favorite thing in the world. I can’t eat cauliflower so had the hardest time on Whole30 trying to find a good alternative! This sounds incredible though I can’t wait to make it.